We hope you all have an amazing festive period and enjoy time with your family and friends. Thank you for your continued support and for still reading our newsletters. It would be great to see you next spring at the festival but if you are attending or not we wish you the very best for 2018. This our Christmas newsletter and that means we are doing some announcing. We had anticipated to announce our contracted Friday headliner but sadly they cancelled last week due to another European show pulling out and rendering the opportunity financially unviable. That said we have headliners for Friday and Saturday sorted but cannot announce now until the first week of January. We are planning some crazy stuff next year and we will be a UK first to have an explosive dance floor which is being done in the Pallet arena joining the world largest glitter ball. 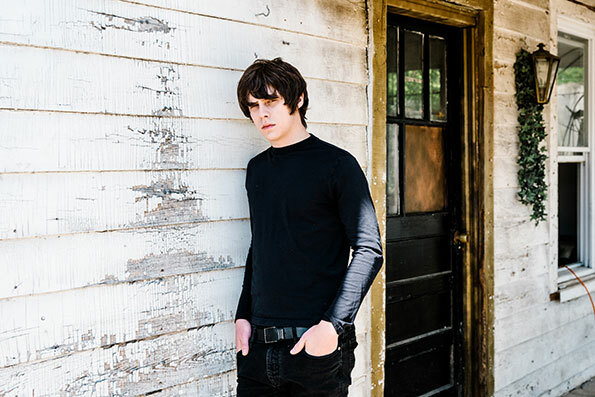 On Sunday, JAKE BUGG will support previously announced JIMMY CLIFF and celebrating his 10th anniversary since playing at Bearded Theory in 2009. Jake this time will bring a full band with him. A lot has changed for Jake since his 2009 appearance and he has gone onto be a huge name in the music industry, with millions of records sales and countless sold out concerts all over the globe. Emerging rock band SHEAFS open the day up and leaving one band to be announced on the Sunday. Saturday on the Pallet we have added post-punk band THE IDLES, who are growing in stature by the day and we have fought off various exclusives from some major festivals in order to secure the booking. Scottish singer-songwriter and multi-instrumentalist KERRI WATT joins the billing and opens the day up nicely for those suffering with sore heads. Finally, on Friday we welcome reggae band RADIO RIDDLER (look beyond purple covers) and alternative indie band OCTOBER DRIFT gets things underway. We have added Irish dance act KING KONG COMPANY to the Thursday Pallet line up and Jon Mcclure will be doing a DJ set and other stuff in the Woodland joining the Don Letts takeover party . Saturday night in the Woodland is headlined by rockers THERAPY? (electric) and Sunday’s legendary closing set on the Woodland will be performed by GENTLEMANS DUB CLUB. They do exactly what it says on the tin. They will bring the festivals 11th year to a brilliant end. We also welcome back the fixture of the festival and they have been around longer than any beard grown since we started and that is 3 DAFT MONKEYS. We thought about ending the tradition after year 10 but we simply couldn’t do it and they will play a special set in the Woodland on Saturday. Female rock band PINS and alternative indie band MYOKE join Friday. Brighton trio RPMs join Saturday and electric comedy act MIK ARTISTIK`S EGO TRIP, resident skiffle band PLEASE Y SELF and young punk band LIFE. With all the above taken into account let’s have a look at those all-important running orders (we stole this comment from Match of Day). The Don Lets takeover featuring Funk Nation DJ`s, Jon McClure & more.